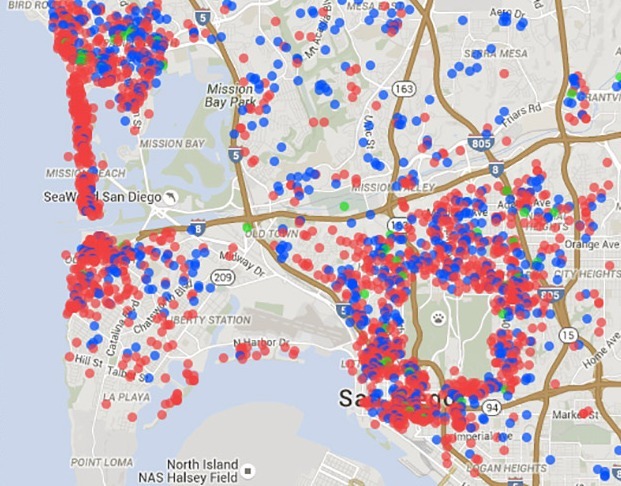 One of the key organizations in this fight is Save San Diego Neighborhoods, and they are trying to mobilize their supporters. Two critical meetings, one that took place yesterday — October 25th — and another that will take place on November 1st. On Tuesday, October 25th, the Community Planners Committee (CPC) hosted City Council President Sherri Lightner at their meeting. The CPC met from 7 to 9 pm. at the Metropolitan Op. Ctr. II Auditorium. The San Diego City Council also will be having a meeting regarding Short Term Vacation Rentals on Tuesday, November 1st at 10 a.m. in Golden Hall, located at 202 C Street, San Diego, CA., 92101. 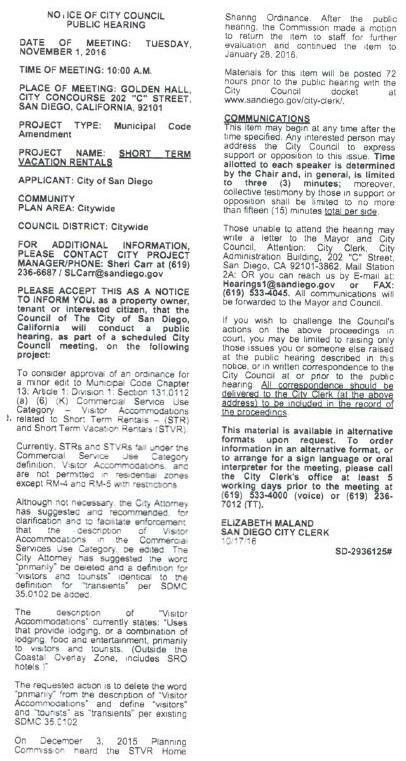 We anticipate that the next meeting will be very important for our members and anyone who wants to see the enforcement of the current San Diego Municipal Code regarding STVR in residential zones. We ask you to particularly mark the Nov. 1 City Council hearing on your calendars as one to attend. Keep an eye on OB Rag in anticipation of the Notice of Hearing being published by City. Although the proposed minor changes to the ordinance are deemed unnecessary to enforcement, the changes are being proposed at the request of Jan Goldsmith “for clarity and to facilitate enforcement.” So whether or not the changes are made, the Code is clear – STVR are Visitor Accommodations and, as such, are not permitted in residential zones.